If it isn’t broken, why fix it? That’s what Strong Man believes, and that’s why our most popular products continue to stand up to the toughest worksite conditions time and time again. But now, Strong Man’s most popular debris netting is getting a brand-new, patriotic makeover. 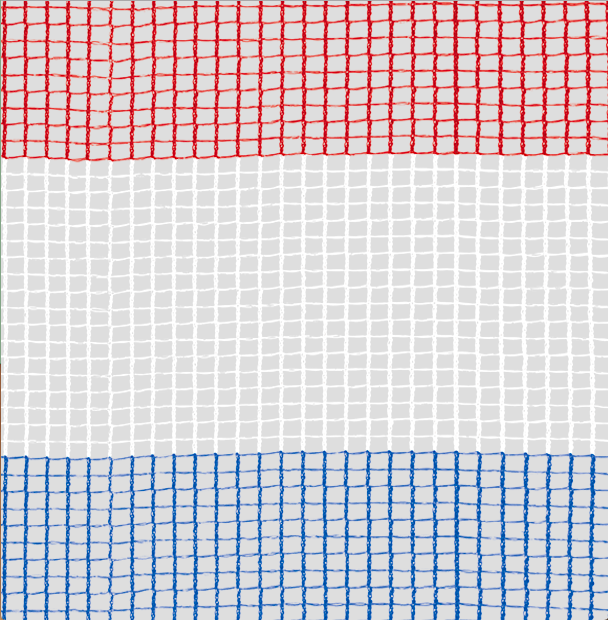 Introducing, the new red, white and blue SBN-22 Safety Debris netting. It’s got all the strength and durability as before, now enhanced with an American classic. We’ve never been prouder to catch falling debris and create dependable jobsites. It’s no wonder why the SBN-22 is our most popular safety debris netting in the first place. With its knitted high-density polyethylene (HDPE) with ¼” mesh openings, no debris netting proves stronger, catching and containing debris, dust and other jobsite materials. Not to mention, the SBN-22 is economical and cost-effective, lightweight, UV-treated and long-lasting. Now, you can protect your jobsite in style. The red, white and blue SBN-22 currently comes in one size, 4’x150’. Its fire-retardant quality meets NFPA 701 Method II & Boston Fire Marshal Test BFD IX-1, keeping your workers and surrounding areas safe from fire hazards. The SBN-22’s edges are hemmed and reinforced for easy installation, giving you no excuse but to put safety at the forefront of your operation. From construction and jobsite protection, to pedestrian safety and industrial, plant or refinery maintenance, the SBN-22 Safety Debris Netting will give you the utmost protection. And now, it can help you show your American pride. Safety First. Go strong.